My research and teaching are situated at the crossroads of medical sociology and science and technology studies. My main research areas include: (1) visualization in science and medicine; (2) medical knowledge and practice; and (3) aging, science, and technology. 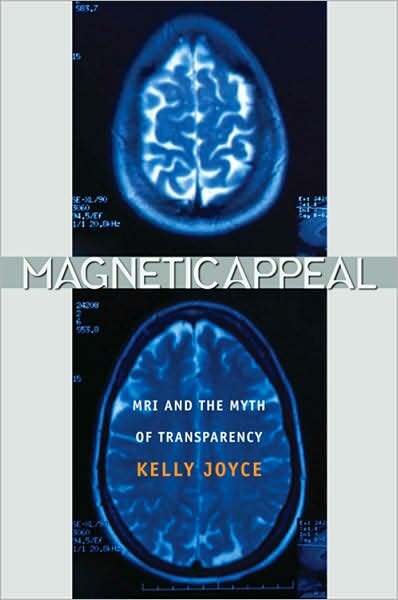 In my book Magnetic Appeal: MRI and the Myth of Transparency, I investigate popular perceptions of MRI and examine the technology's use in clinical medicine. Building on a co-production framework, I show how ideas about mechanically produced pictures, fee-for-service insurance reimbursements, definitions of evidence, advertising, concerns about litigation, and decreasing clinical exam times all help make MRI the right tool for diagnostic work. Although clearly a valuable technology, social and economic factors contribute to its use in health care. Magnetic Appeal also contributes to discussions of medical work, documenting the radiologists and technologists' experiences of work in MRI units. If you'd like a more complete view of my research and publications, please go to my new website.